MASSIVE VOODOO: Tutorial Voting: A Pirate in a Wolf-costume? MV's year of the painter brings you another round of article voting. A Painting step by step through the Tales of War's Slot Gunner Pirate bust, the one from the recent Miniatures Unpacked. For this article vote "Pirate" in your comment. This article is about sculpting. Follow me on my journey through the Advanced Sculpting class from Pedro Fernandez. Read about my plans before and after, get the insight on how a sculpt grows and what I learned so far. 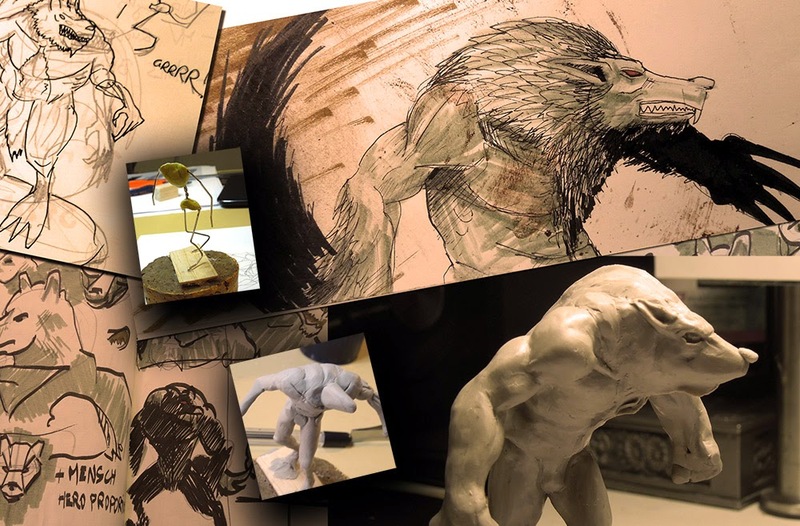 This tutorial brings you part A of my attempts in sculpting my lil' Werewolve. Now it is your choice which article will be next in your jungle! Can't wait to see your choices! There are 18 Kommentare for Tutorial Voting: A Pirate in a Wolf-costume? Got to be the Wolf!